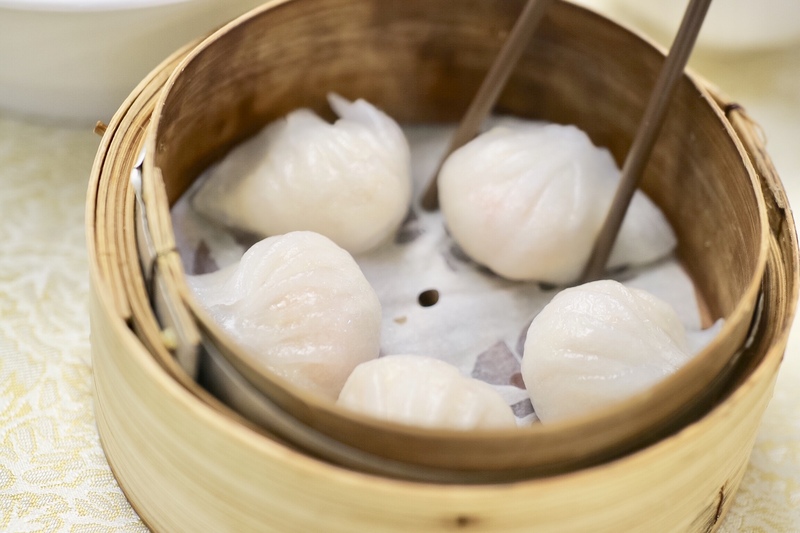 Golden Paramount Seafood Restaurant captured my attention when they won “The Best Dim Sum” at 2018 Restaurant Awards by Vancouver Magazine. I always thought I had visited all the great dim sum places in Richmond, but apparently, I have not. But when I was planning to visit the restaurant for dim sum, it was temporarily closed due to redevelopment. Although they re-opened at a new location on Anderson Rd last September, I never had a chance to visit until last week, when I was looking for a more classic spot for dim sum in Richmond with a friend. 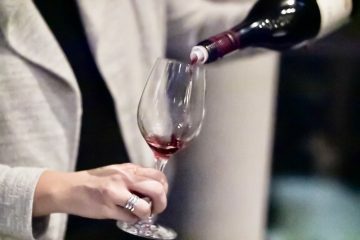 The restaurant is also known for the traditional Cantonese fine dining, a runner-up to Dynasty Seafood for the “Best Chinese” at last year’s Restaurant Awards. Their sweet & sour pork is said to be the 2nd best next to Hoitong’s. And another significant note is the kitchen is helmed by a female chef, May Chau, who is quite rare in the culinary genre in which the head chefs are predominantly male. 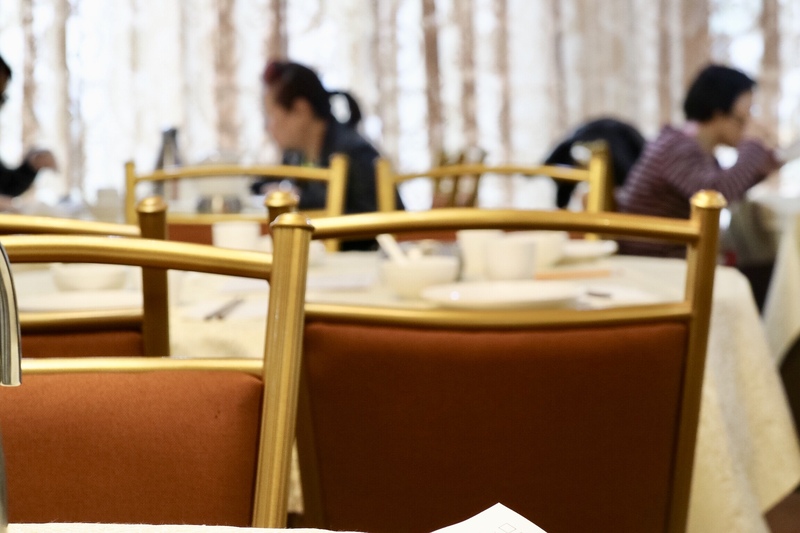 Although they have settled at a new location, they are still using the same furnishing from the old location, and the decor takes you down the memory lane to the style of the traditional Chinese restaurant in Hong Kong in the 70’s. Most noticeably, the chairs are partially gold-plated. We came here around 1 pm and it was not very busy here. Only half of the tables are occupied, also by mostly Cantonese-speaking folks. They are now introducing a new dim sum menu and promoting it with a 10% off and free tea. We ordered 4 dim sum dishes and a bowl of pork and peanut congee. The Har Gow/Shrimp Dumplings have very pale skin, but the shrimp fillings are superb. The shrimps are so fresh that they snap in my mouth and burst with sweet seafood flavour. 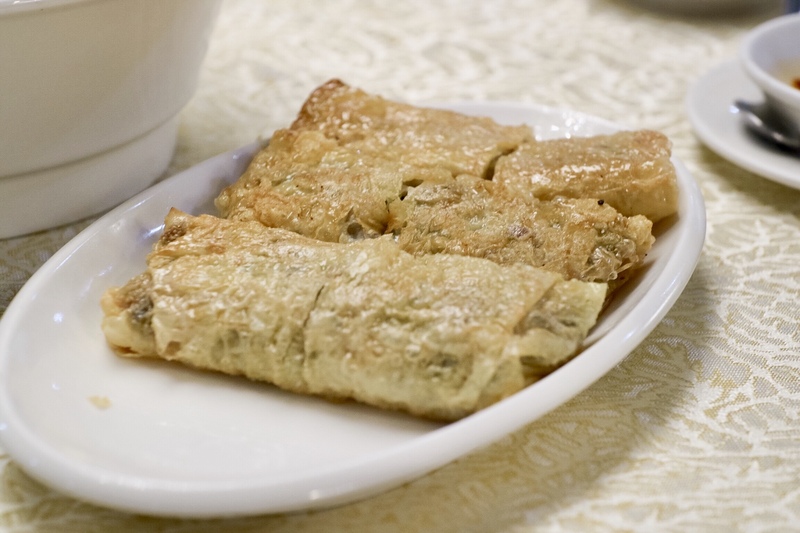 The Fried Bean Curd Skin Roll is a variation from the traditional spring roll. The filling is astonishingly delightful and tasty, made with pork chopped super finely, not minced with a machine, and mixed with crunchy greens, also super finely chopped. The exterior was fried to perfectly crispy, making each bite so full of flavours and textures. Dipping in Worchester sauce is a must. Fried Bean Curd Skin RollsMy buddy is from Northern China, and his favourite dim sum dish was the Cheung Fun / Steamed Rice Noodle Rolls. 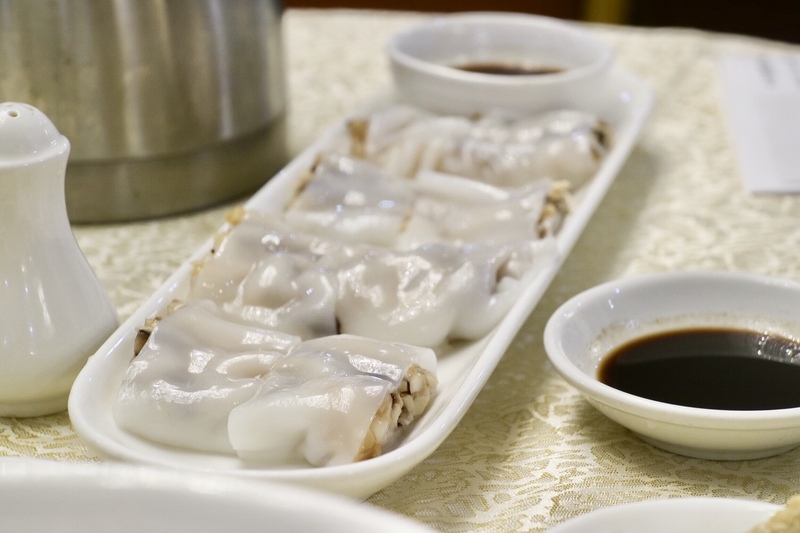 We order the Steamed Rice Noodle Rolls with Mixed Mushrooms, and it has to some of the best Cheung Fun that I have ever had in my life. The flat rice noodle here is hand made with a traditional technique using a white cloth, and it is so smooth and feels so luscious in the mouth. The texture of the mushrooms blends in the noodle so well, leaving such a pleasure on the palate. The Beef Tripe has a crunchy texture as expected, but maybe a tiny little bit tougher than average. 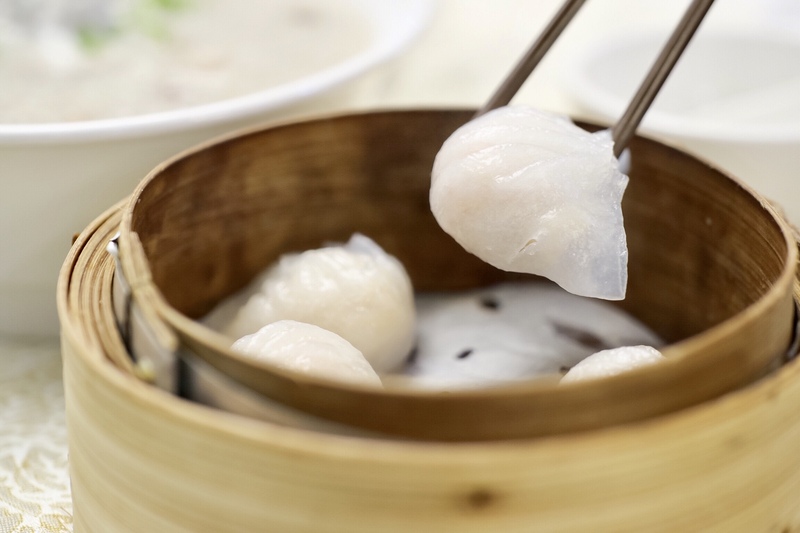 In a lot of dim sum restaurants, the stripes are usually served with tendons so that there would be a good texture contrast. 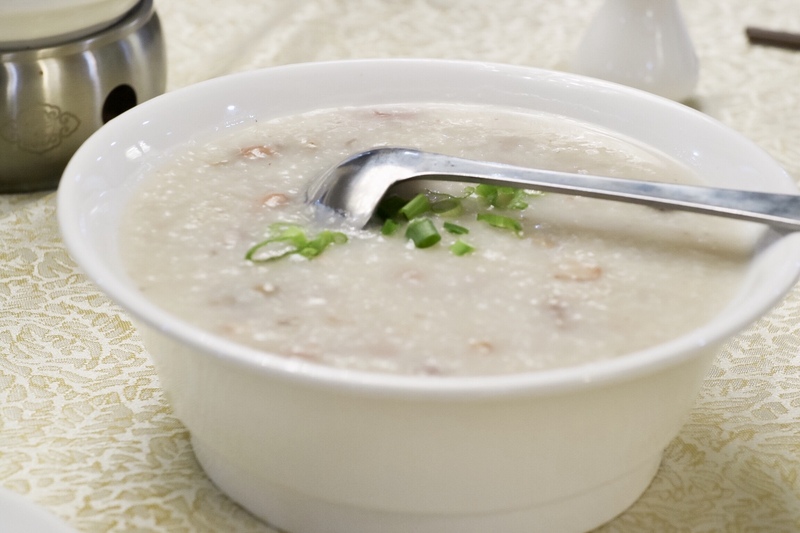 The Pork Congee has a good size which is perfect for serving 2. It was my first time to have the peanuts cooked to such a soft texture in congee or soup. 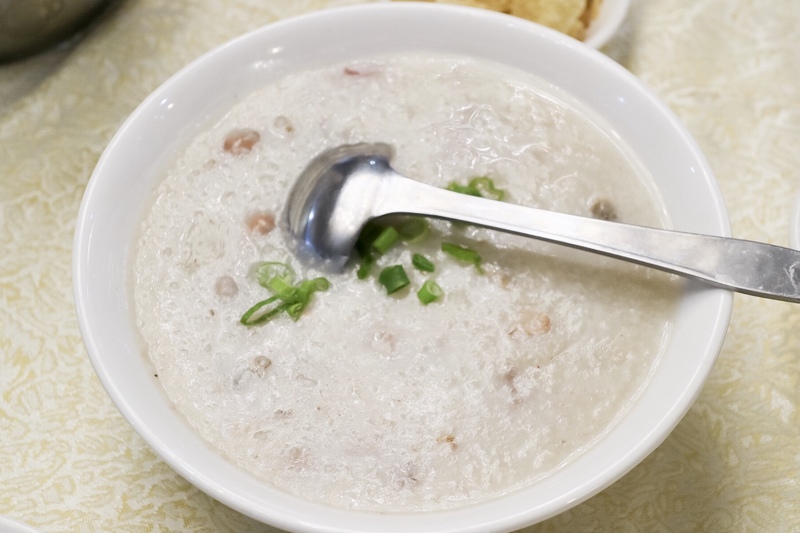 However, the congee is not a dim sum dish, and the 10% off does not apply to it. The dim sum here is incredible. The fresh ingredients are treated beautifully and it shows in the flavour. 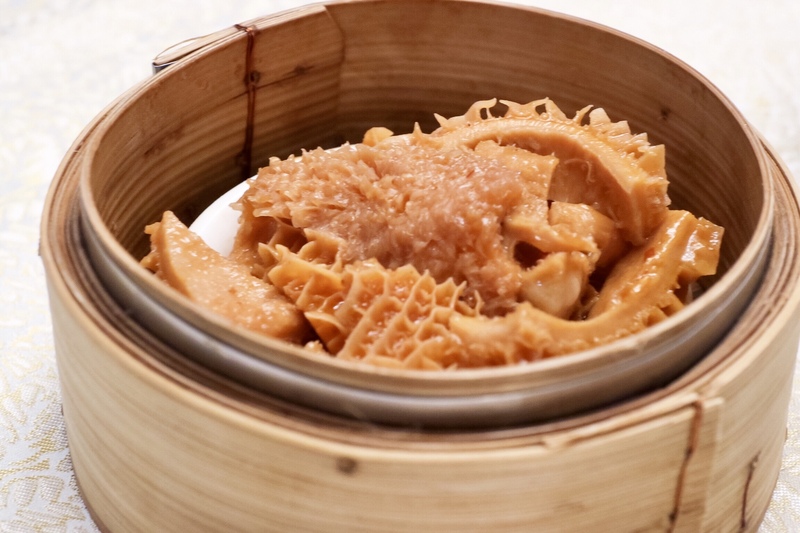 But on fine Cantonese cooking, the texture matters just as much as the flavour, and the dim sum chef has respected such aspect of the craft and created such the textbook-perfect dishes. This is definitely a top 3 dim sum experience for me. I will come back soon to try more dishes, and quite possibly, including the sweet and sour pork that might save us from grieving the closure of Hoitong. I can hardly wait. Does Masayoshi represent Vancouver's "Best Japanese"? FWIW I preferred the sweet and sour pork at the old GP to the one at Hoitong. Haven’t tried the new GP yet.